May, 1944. As the Allied armies massed in the British Isles prepare to invade Occupied Europe and strike a mighty blow against Hitler’s Reich, a heavy responsibility falls on the men of Walmington-on-Sea’s Home Guard platoon. This new celebration of one of the UK’s favourite sitcoms features a stellar cast of British acting talent that includes Toby Jones, Michael Gambon, Bill Nighy, Tom Courtenay and Catherine Zeta-Jones. 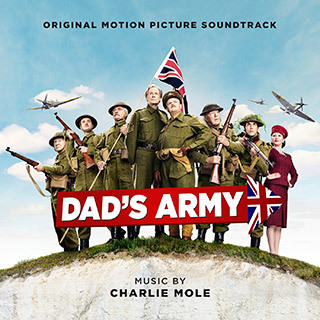 Emmy and Ivor Novello nominated for his music for ITV’s flagship hit drama Mr. Selfridge, composer Charlie Mole is perhaps better known in Hollywood than the UK because of the quality of the films he has scored. His 25 year film composing career includes music for Othello, An Ideal Husband, High Heels And Low Lifes, The Importance Of Being Earnest and the recent St. Trinian’s revivals. He has also an extensive range of TV work that includes Northanger Abbey, The Diary Of Anne Frank and Garrow’s Law. 9. Rose Goes To The Cave And High St.